Businesses employing cloud as a primary IT model are increasingly making use of cloud data warehouses and analytical tools in decision making. By using cloud data warehouses and analytical tools, companies are making better decisions enabled by consolidating all their disparate data into a cloud data warehouse. With the introduction of the Snowflake cloud data warehouse for Microsoft Azure, users of the Azure platform now have access to a leading cloud data warehouse – a great step forward. However, the challenge remains in how businesses will aggregate all of their various forms of data into a cloud data warehouse – and not only simply in moving it, but also performing the necessary transformations to ensure it’s ready for analytical tools to ingest. To meet this need, we are happy to announce the general availability of Matillion ETL for Snowflake on Microsoft Azure. Matillion is an industry-leading data transformation solution that was originally introduced on Amazon Web Services for the Amazon Redshift cloud data warehouse. Delivering a true end-to-end data transformation solution (not just data migration or data preparation), Matillion provides an instant-on experience to get you up and running in just a few clicks, a pay-as-you-go billing model to cut out lengthy procurement processes, and an intuitive user interface to minimize technical pain and speed up time to results. Matillion ETL for Snowflake is purpose-built for the Snowflake cloud data warehouse to allow our users to not only move their data from on-premises and cloud-based source systems but also perform the necessary data transformation to enable analytics. More than just a data movement or data preparation tool, Matillion unlocks the analytical power of your business’ data through transforming your various data sources and types into a single, analytics-ready cloud data warehouse with functionality designed to amplify Snowflake features such as semi-structured data support, warehouse scalability, and connectivity with Azure Blob Storage. The data transformation process begins with ingesting your business’ data, from across its various locations, in its various forms, into Snowflake. We deliver this capability through over 50 pre-built data connections for the most popular data repository types – both cloud and on-premises. These connectors can be configured through only a few clicks to begin the process of loading your business’ data into Snowflake. For situations where a pre-built connector may not be available, Matillion provides a universal API Query component that can connect to any API-based system to extract your data and a Database Query component that can extract data from a number of on-premises databases. Matillion provides a comprehensive solution for data extraction regardless of the scope or variety of your needs. Entirely within the intuitive Matillion user interface, you can orchestrate the extraction of your all your data and then transform your data to change its’ shape for advanced analytics – all in a matter of minutes using visual pre-built connectors. Behind the scenes, the SQL statements representing your loads and desired data transformation steps are generated by Matillion, saving you a great deal of custom code development time and effort. What can our Snowflake on Azure customers expect next from Matillion? More features, more capabilities, and more integrations! 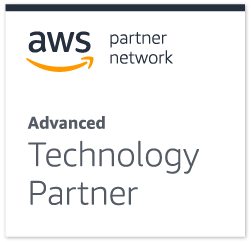 All and all, you can expect the same great solution and service on Snowflake for AWS, with a few Azure-specific nuances. As Matillion continues to build out the product over the coming months, you will see frequent releases with new functionality that will allow you to make the most of your Snowflake on Azure data warehouse. Watch this space for additional information, and we will be updating our Snowflake Support documents to cover the Azure experience. Arrange a free demo, or start a free 30-day trial of Matillion ETL for Snowflake on Azure.